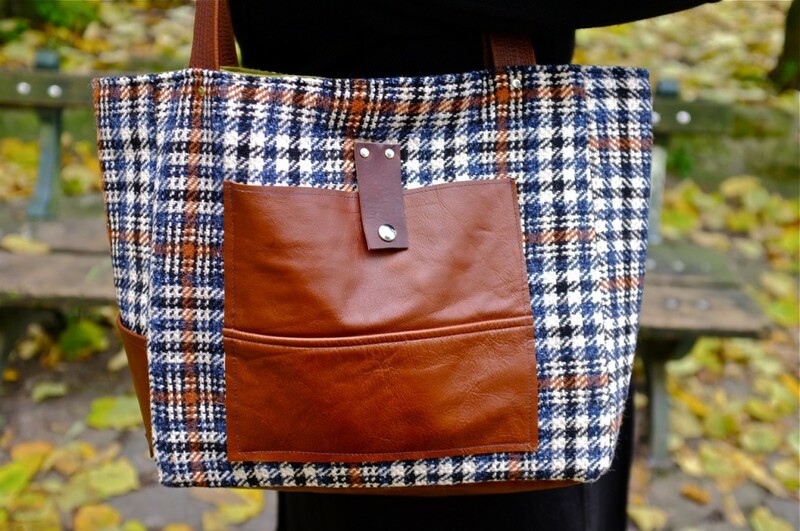 Named after the famous flea market in Brussels, The Jeu de Balle tote is a perfect addition to your wardrobe. 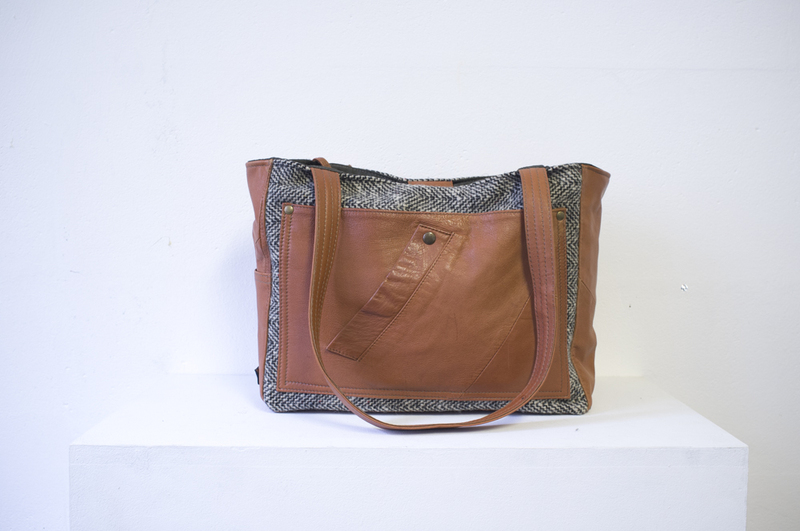 Not too big and not too small, it will carry all your everyday needs as well as any extras you pick up along the way. 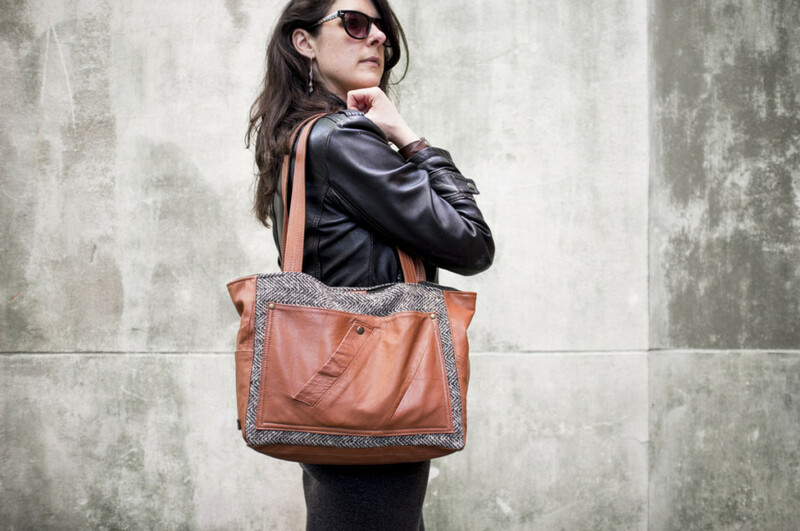 Each Jeu de Balle tote features an interior pocket, a leather exterior pocket, a sturdy leather bottom, two secure straps, and closes with a magnetic snap. 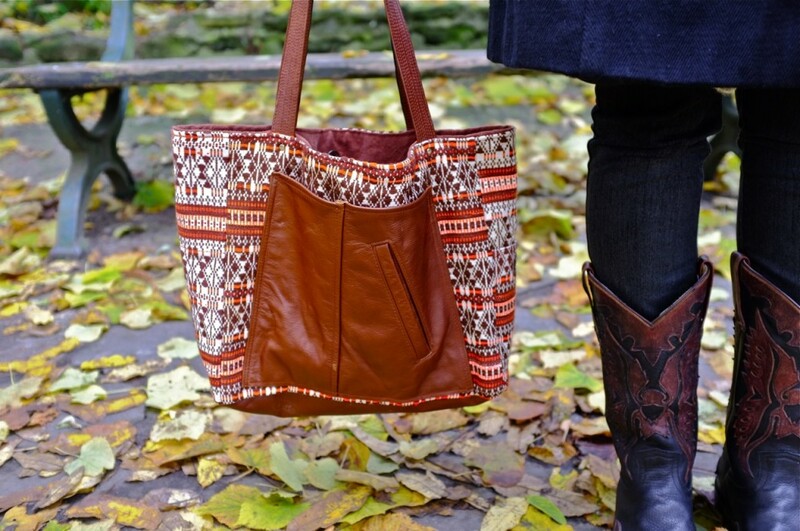 The Jeu de Balle tote bag is a great book bag, market tote and general carryall. 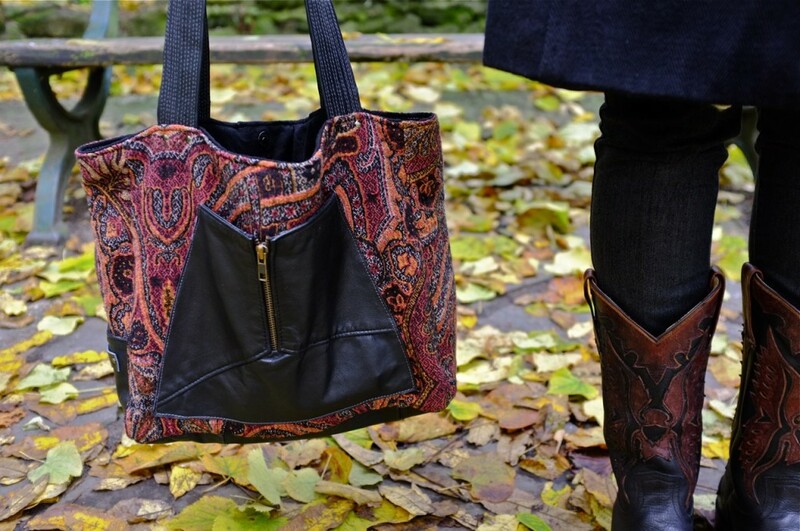 I combine leathers from high quality repurposed leather jackets and leather apparel as well as 2nd hand textiles and clothing to make each tote bag truly one-of-a-kind and unique. 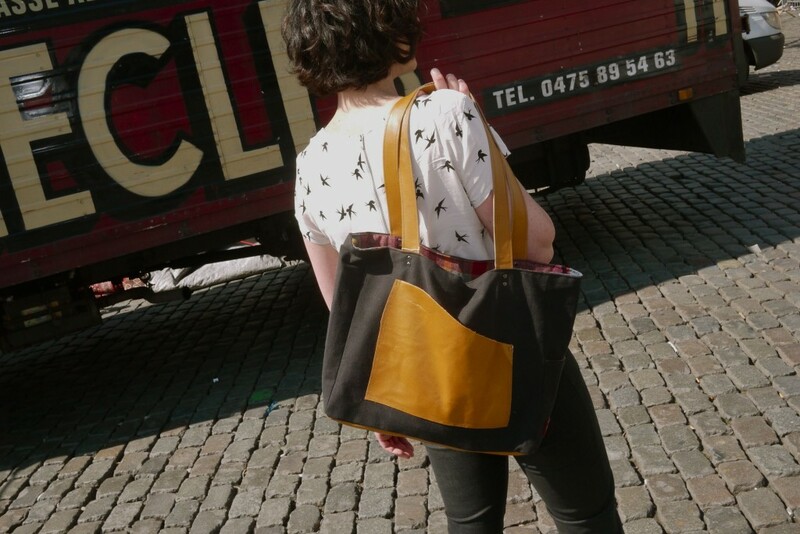 The Jeu de balle tote is for the eco-conscious gal who refuses the plastic bag at the shop and instead uses her ultra stylish recycled tote bag to carry around all her daily finds.